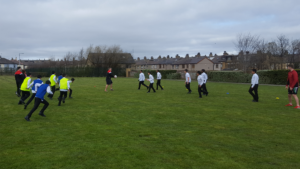 Thank you to Bulls Foundation for organising a truly memorable experie nce for our Year 7 Rugby League team. 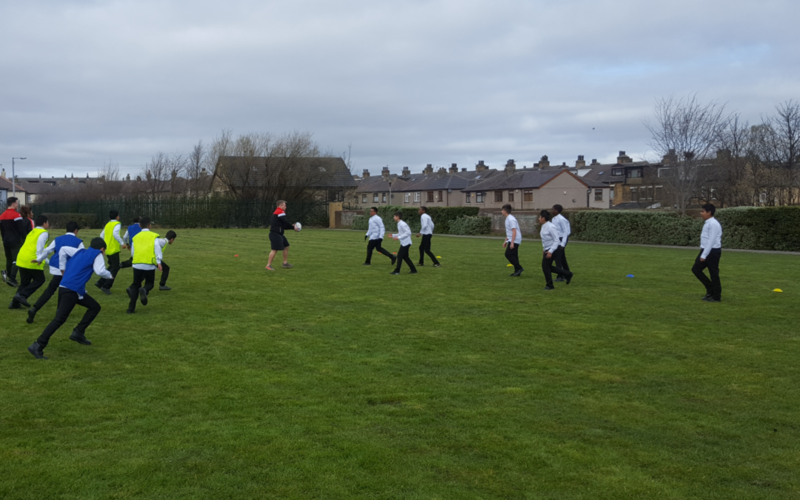 Yesterday 2 players from the Bradford Bulls – Jordan Lilley & Sam Hallas – came to join in for a very inspirational Year 7 rugby training session. The team were also delighted to receive free tickets for the match on Sunday at Odsal against Leigh Centurians. This will give them the opportunity to watch a professional competitive match in a fantastic stadium, and will show them where they can aspire to play if they continue training as hard as they currently do. 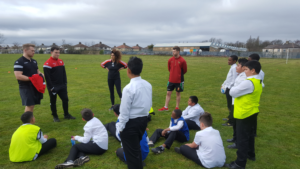 Jordan and Sam were happy to answer questions from our pupils about life as professional athletes and the commitment required to reach the top. It was a brilliant experience for our Year 7 team and one which I am sure they will remember for a very long time.